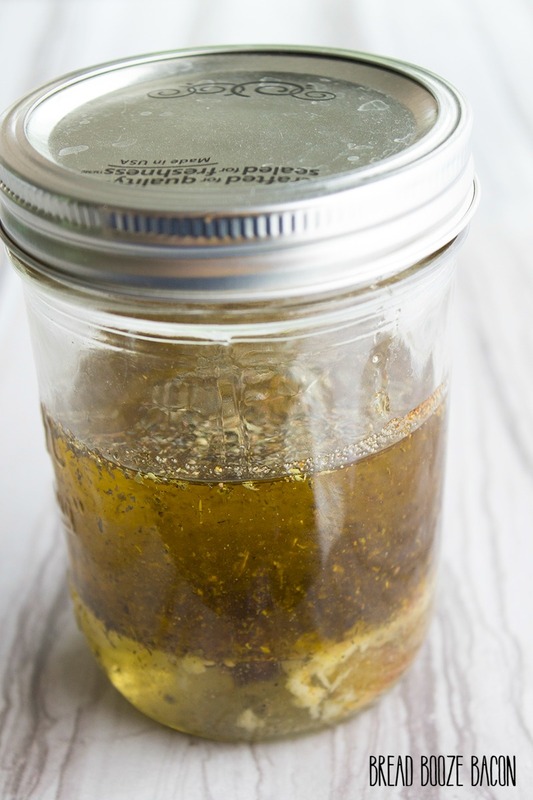 Our Homemade Italian Dressing will put those store bought bottles to shame! It’s flavorful ingredients make it the perfect match for any salad! I’ve never really been that into Italian dressing. I don’t know what it is. Probably too many whatever-the-restaurant-buys brands of dressing had put me off when I started venturing outside my ranch dressing safe zone. 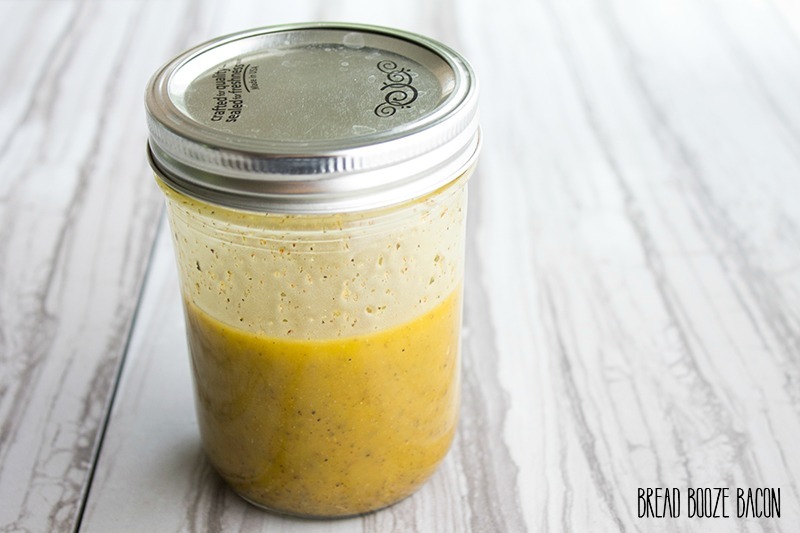 In any case, I’ve changed my ways and am singing the praises of vinaigrette style dressings! Balsamic, Italian, pomegranate, they’re all pretty amazing. 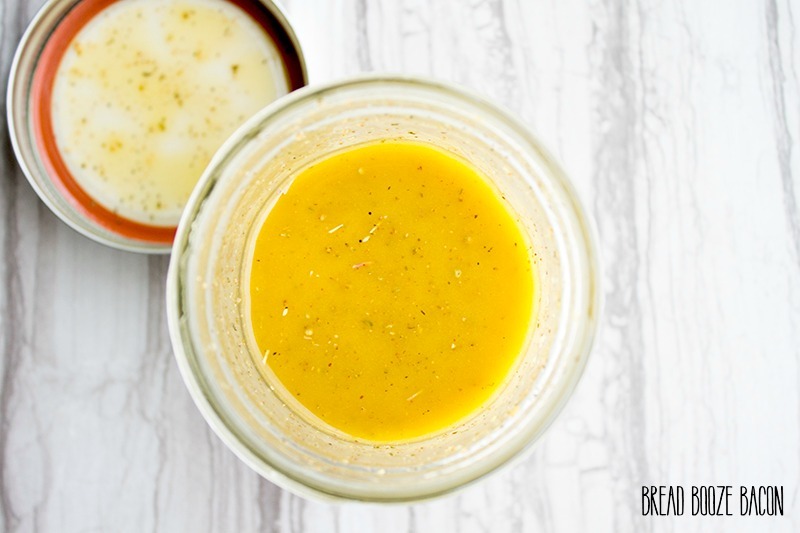 This dressing recipe has my heart. The layers of flavors are wonderful. The olive oil really comes through, giving this luscious mouthfeel to the dressing. I like this dressing so much I pour it out and dip my bread in it. Like those oil and herb plates you get at some Italian restaurants…only better! I’ve been keeping a jar of this dressing in my fridge regularly now so I’m ready to go whenever a salad craving strikes. A note about storage: please keep this in the fridge. You will notice the dressing sets up to a thick sludge like consistency. (Not pretty, but it’s what happens.) To remedy this, put the jar of dressing out on the counter and let it come up to room temperature before pouring on your salad. I can usually get 7 to 10 days of storage time from a jar…well that’s how long it’s in there before we use it all. 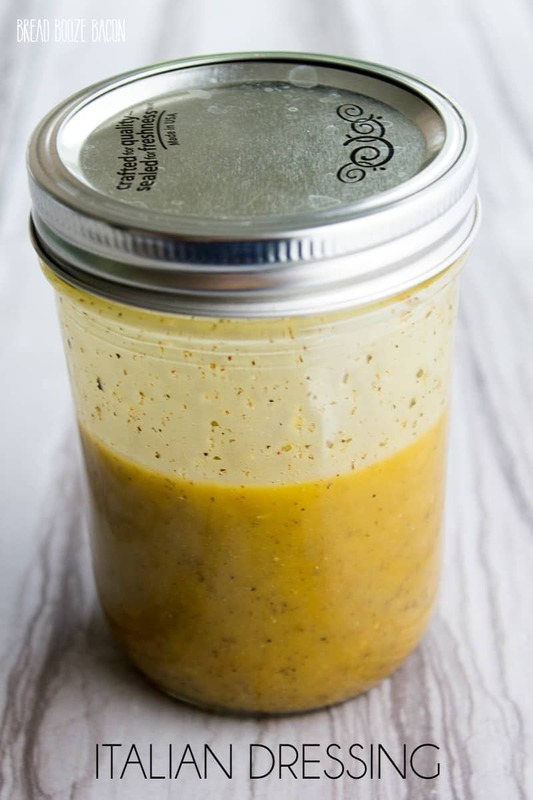 Our Homemade Italian Dressing will put those store bought bottles to shame! It's flavorful ingredients make it the perfect match for any salad! Add all of the ingredients into a 2 cup mason jar. 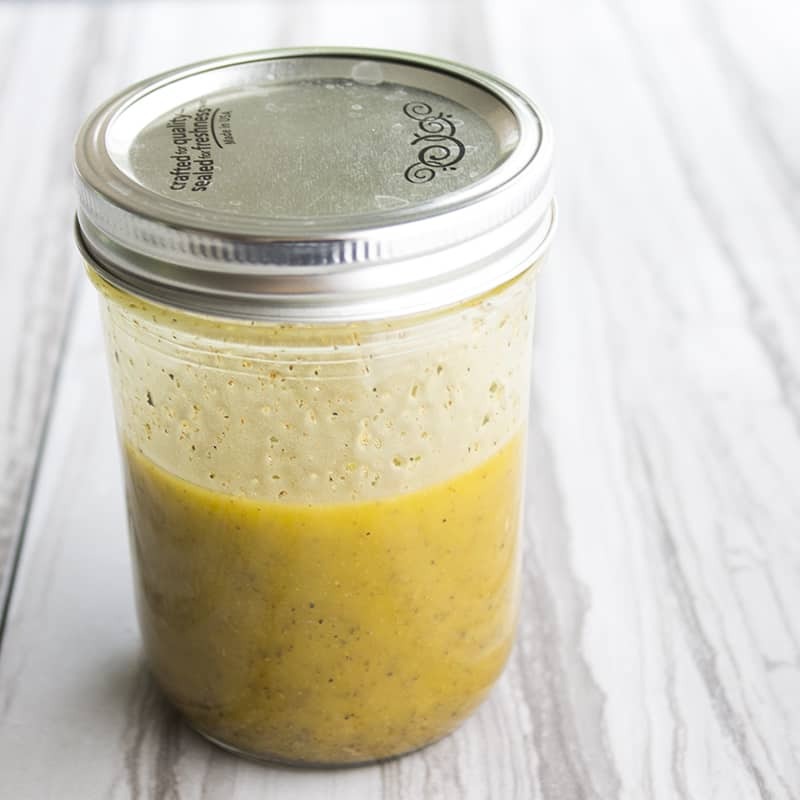 Cover the jar with its lid, tightly, and shake for 30 seconds to 1 minute until everything is well combined and the oil and vinegar have emulsified. Store in the closed jar in the refrigerator for up to 1 week. This dressing thickened up in the fridge to a sludgy consistency (while I was storing it). Don't worry if that happens! Just set the dressing out on the counter until it thins out again. Be sure to shake your jar of dressing before using.